For the 23rd year, Reinhart Realtors is teaming up with our agents and with the people of Washtenaw County (that’s you!) to collect winter coat donations. From October 29th through November 30th, you can bring new and gently used coats to any of our Charles Reinhart Sales Offices and to any open house hosted by a Reinhart agent during the month of November. We have six office locations total: four in Ann Arbor, one in Chelsea and one in Saline. To see those specific locations, click here. And to preview all our open houses and find out where and when you can drop off in your neighborhood, click here. In 2018, our goal is to collect 2,000 total coats for adults and children. Last year, with your help, we collected more than 1,100, and over the last 23 years of the Reinhart Coat Drive, we’ve collected more than 23,000 coats! These have been distributed to local agencies, programs and organizations throughout Washtenaw County, including Ann Arbor Community Center, Dawn Farm, The Women’s Center of Southeastern Michigan and Ypsilanti Meals on Wheels. The list of agencies includes more than 30 total and these are located in communities all over Washtenaw County. Together, they’re all working to ensure the homeless, struggling and underserved in our communities are cared for. Here in Michigan, that care becomes even more necessary during the biting winter months. According to Washtenaw Housing Alliance, more than 4,600 people experienced homelessness over the course of one year in 2014 and 38% of those were families with young children. 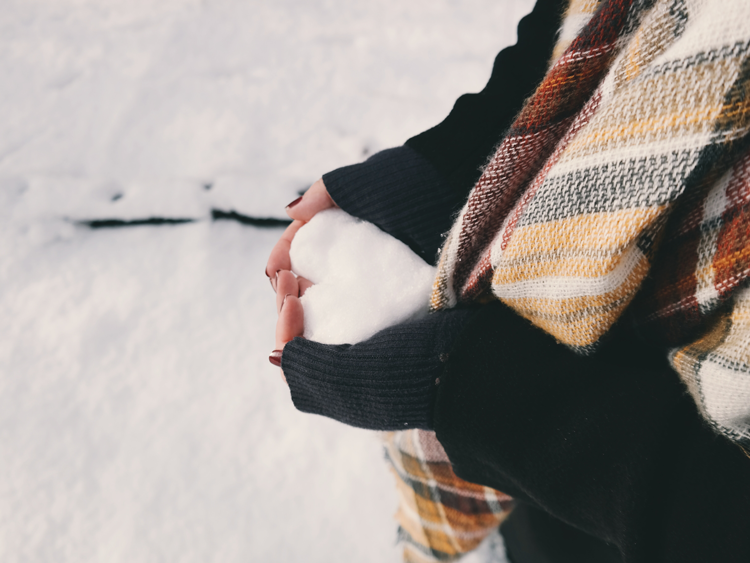 Whether living on the streets or in homes without adequate heating, these families struggle to stay warm during the fall, winter and even the early spring. And if you’ve lived in the mitten very long, you understand why. Here in Ann Arbor, we get an average of 57 inches of snowfall each year and our average low temperature in January is just 18 degrees. So join the cause with us this November and bring a new or gently used coat to one of our offices or open houses. Coat donations can be dropped at any of our six Charles Reinhart Sales Offices and at any open house hosted by a Reinhart agent during the month of November. You can see our office locations here and our list of upcoming open houses here. Reinhart kicks-off our 22nd Annual Coat Drive October 30, with the goal of collecting more than 1,800 adult and children’s winter coats to distribute to local agencies throughout Washtenaw County. Through the month of November, you’re invited to donate new and gently used winter coats at all of the Charles Reinhart Sales Offices as well as all Sunday Open Houses. Over the coat drive’s 21-year history, Reinhart has collected more than 21,000 coats, all of which have been donated to agencies in our community. 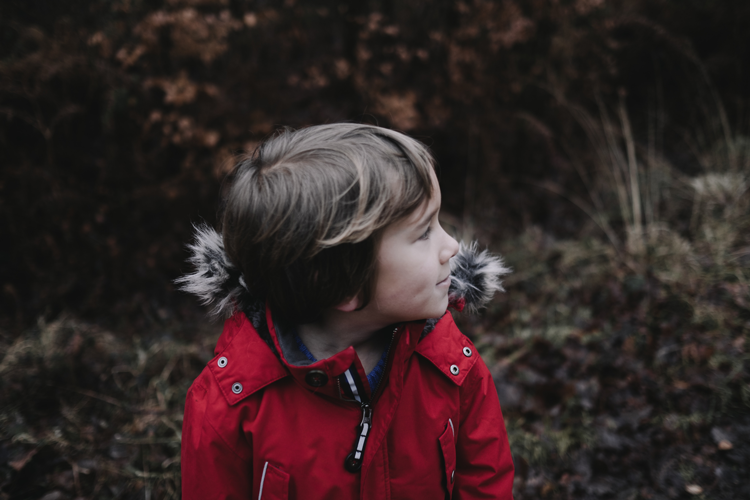 The need for winter coats, especially for children, continues to be great. The 22nd Annual Coat Drive hopes to help fill that need in our community as the weather gets colder. 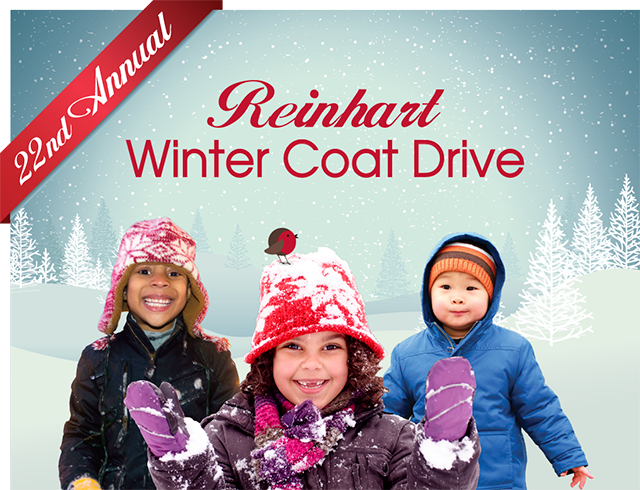 For more information about the 22nd Annual Coat Drive, please contact Greer Thibodeau, Marketing Coordinator at 734-669-5837 or gthibodeau@reinhartrealtors.com. Together with the help of Reinhart staff and agents, area dry cleaners and the overwhelming support of the community, we were able to collect, clean and donate 12,66 winter coats to more than thirty local agencies.We would like to thank all those who supported our 21st Annual Coat Drive. We have been fortunate to partner with local dry cleaners to clean the winter coats we collect before we donate them to local agencies. Thank you to Capitol Cleaners and Chelsea Cleaners for their generosity. Thank you to Nadine Alpern, Michelle Boose, Laurie Buys, Liz Crowe, Amy Courtney, Michelle Elie, Kathy Frey, Kathy Hay, Kelley Krahn, Todd Lands, Laurie Reynolds, Nicole Palmieri, Michelle Shulman and Kathy Van Zwolland for serving as Reinhart Coat Drive Captains! We hope to continue the Coat Drive again next year, with the support of our community, to provide coats for those in need. We are very thankful to everyone who participated! In no time at all, warm coats will be needed by many people who can’t afford them. 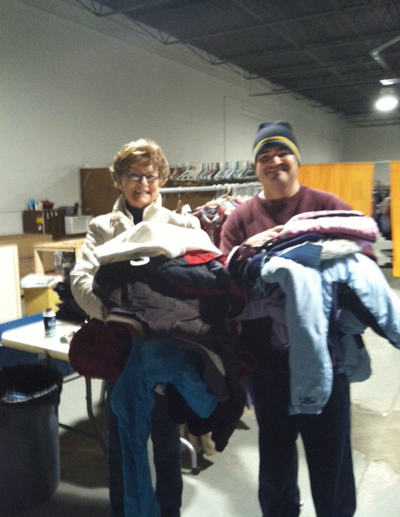 Over the Coat Drive’s 20-year history, Reinhart has collected more than 19,000 new and gently used winter coats. Many wonder, where do the coats go? Please encourage your family and friends to drop of their gently used winter coats at all of the Charles Reinhart Sales Offices as well as all Sunday Open Houses. For more information about the 21st Annual Coat Drive, please contact Greer Thibodeau, Marketing Coordinator at 734-669-5837 or gthibodeau@reinhartrealtors.com.